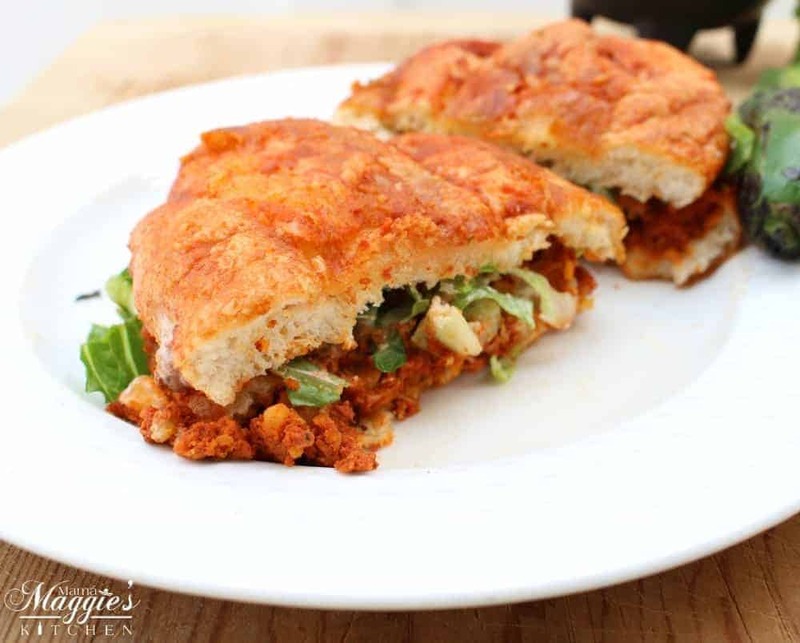 A Pambazo is sandwich that has been dunked in a guajillo chile sauce and stuffed with chorizo and potatoes. 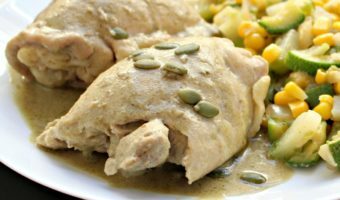 Watch the VIDEO or follow the step-by-step pictures to recreate this delicious Mexican street food favorite. Get out your stretchy pants and have your local ambulance on speed dial! 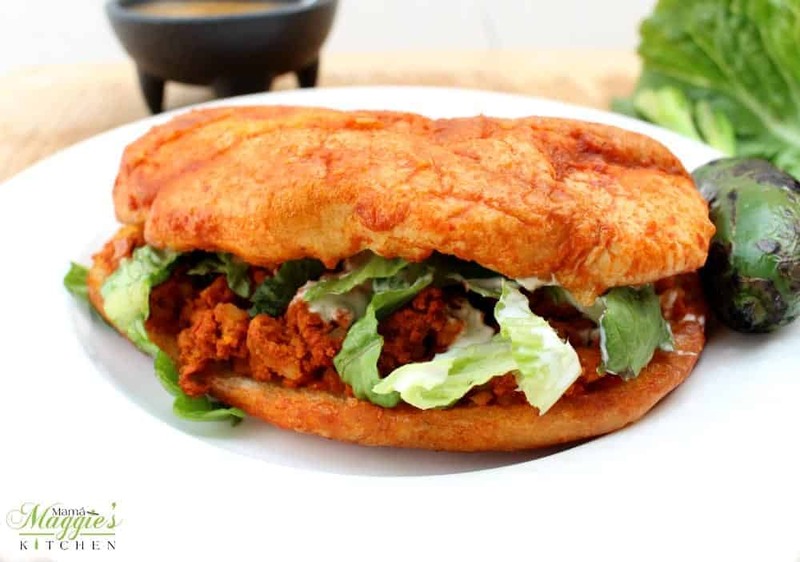 A pambazo sandwich is among the best of Mexican street food and worth every calorie. 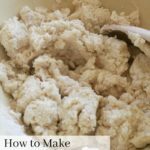 Let me show you how to make this decadent and tasty treat. 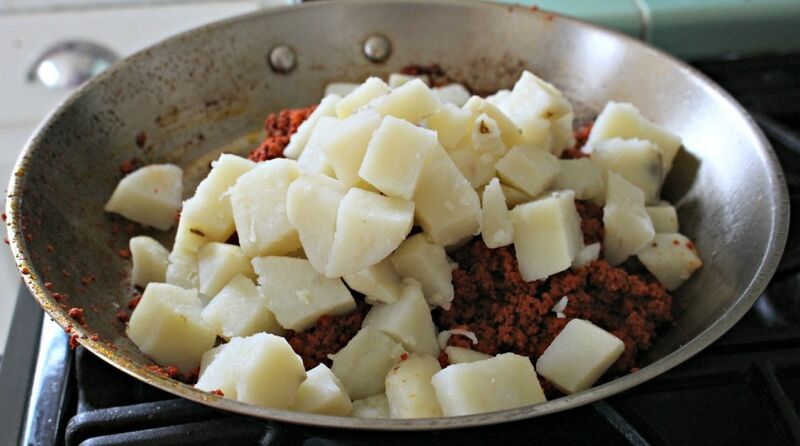 You start by making the chorizo and potatoes. 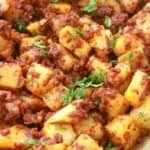 This is similar to the Chorizo con Papas that we all know and love, but it has a smoother texture. 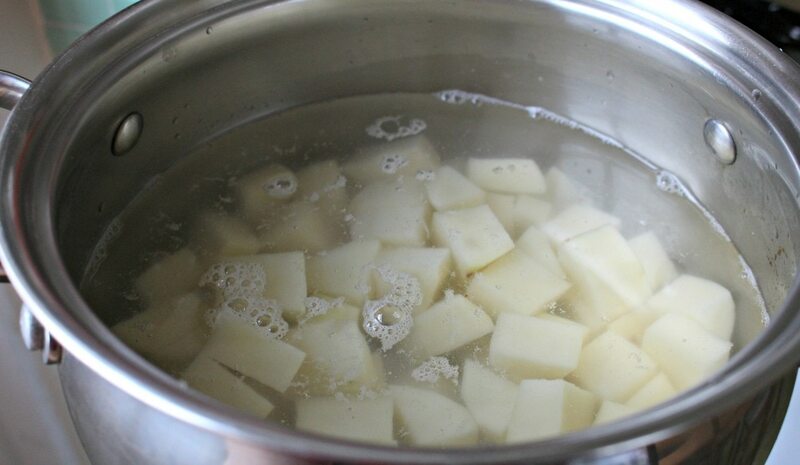 Boil the potatoes. Or, if you have some leftover from another dish, you can use that too. Set aside until ready to use. 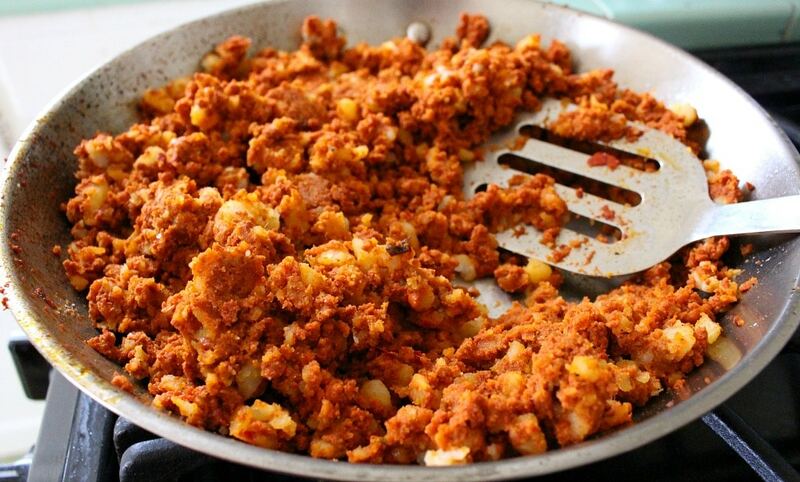 Cook the chorizo in a large skillet. Preferably, use a skillet that will give you some wiggle room. Potatoes will be joining the chorizo soon, and you want enough room to groove. Drain the excess fat from the chorizo. Not to worry. 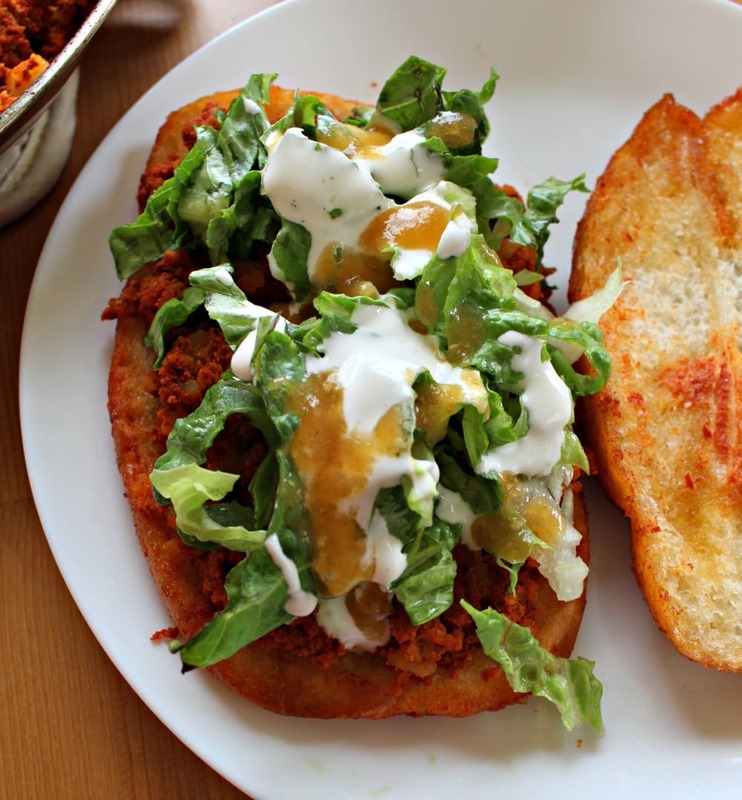 There will still be plenty of fat in the chorizo to give your Pambazo plenty of flavor. 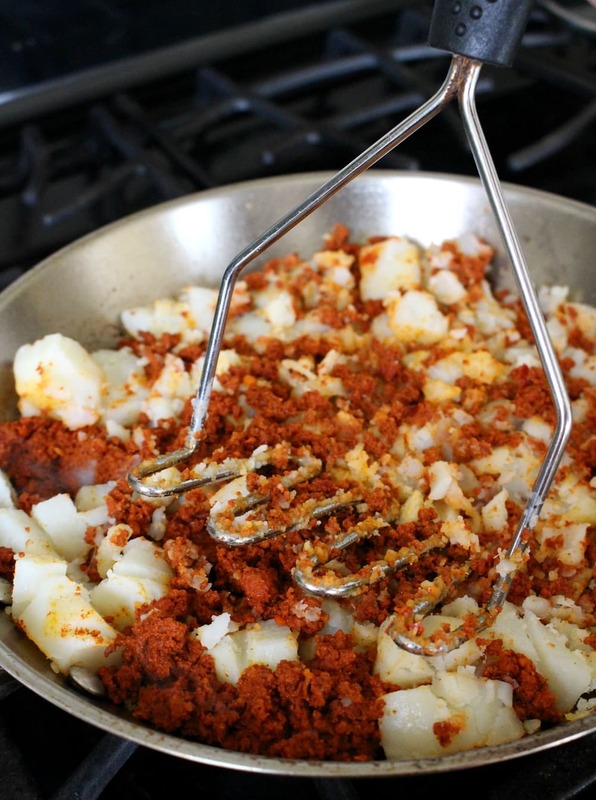 Return the cooked and drained chorizo to the skillet and add the cooked potatoes. With a potato masher, start mashing. 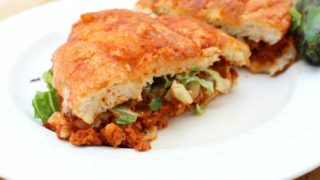 In Mexico, the filling for Pambazo is smooth. Me, personally, I’m ok with a texture that’s not too smooth. Chunky ain’t so bad. Like peanut butter or mashed potato. People like texture in their food. I haven’t lost my teeth yet. lol. Now time to work on the sauce. 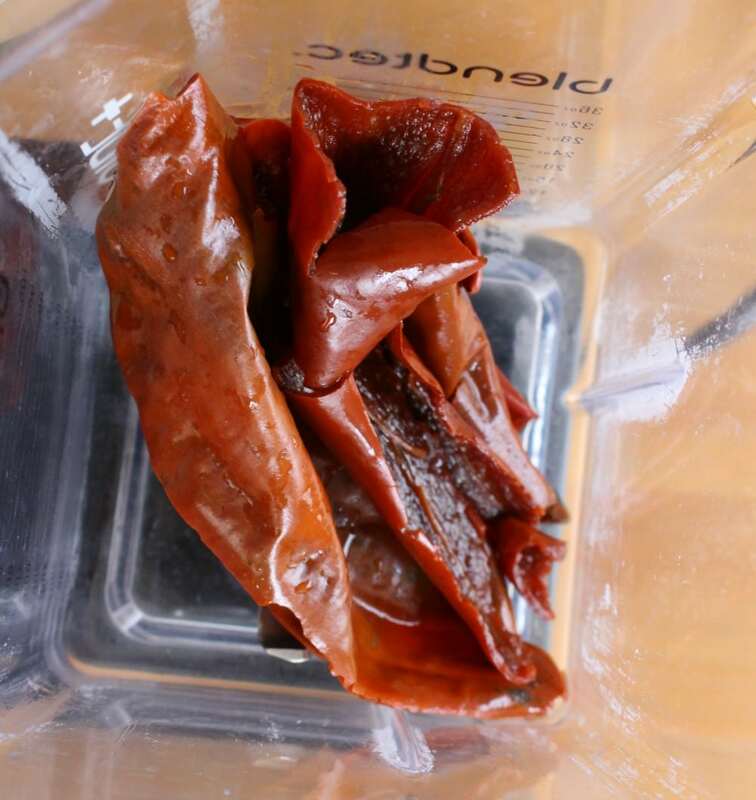 Reconstitute the chile guajillo – Add the deveined and seeded guajillo chile to a stock pot and bring to a boil. After 5 minutes, turn heat off. 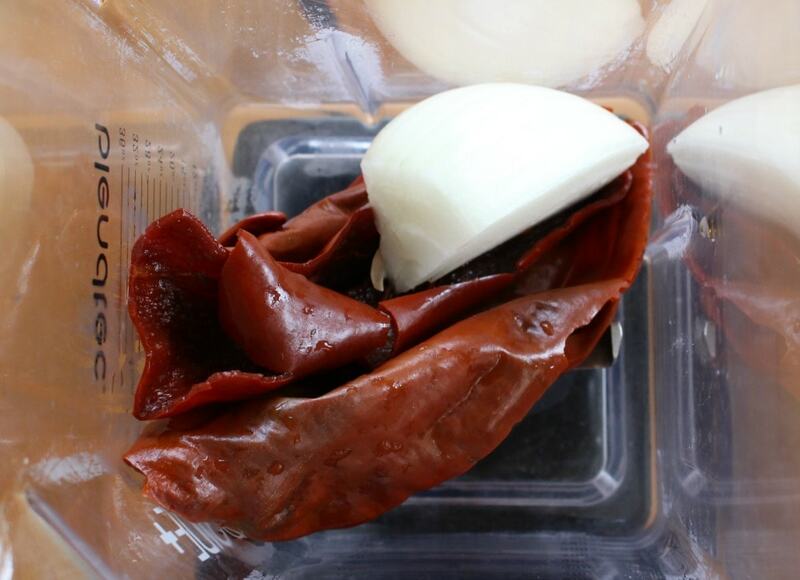 Cover with a lid and let rest for 5 minutes or until pliable. Time saving tip: I’ve started to reconstitute chiles in large batches and pull them out of the fridge as I need them. 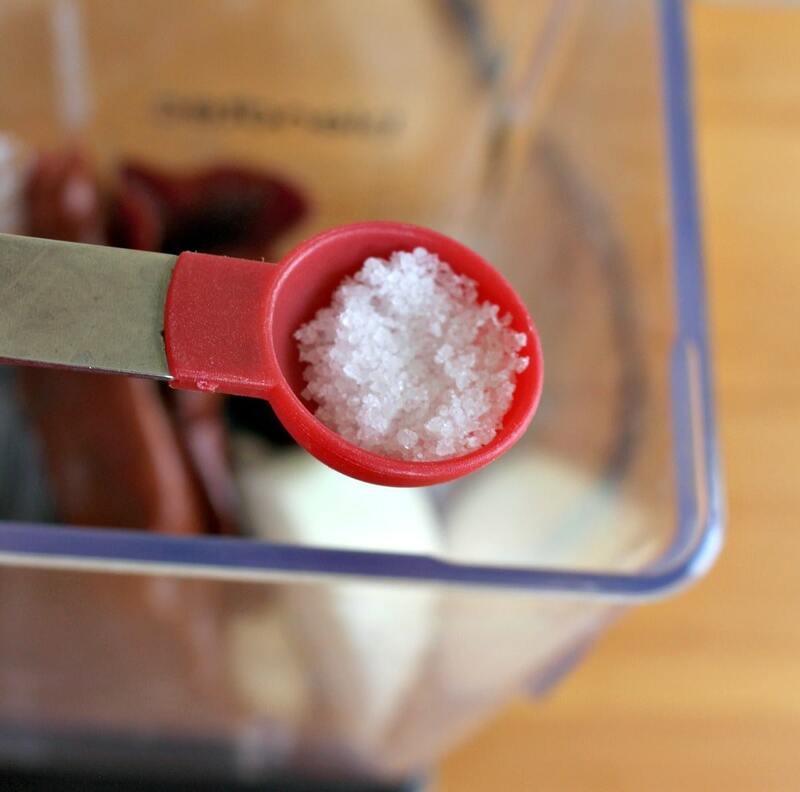 Add the reconstituted guajillo chile in a blender. Add the raw, white onion. Don’t worry. We will be cooking the sauce when we fry the bread. Can’t forget garlic. 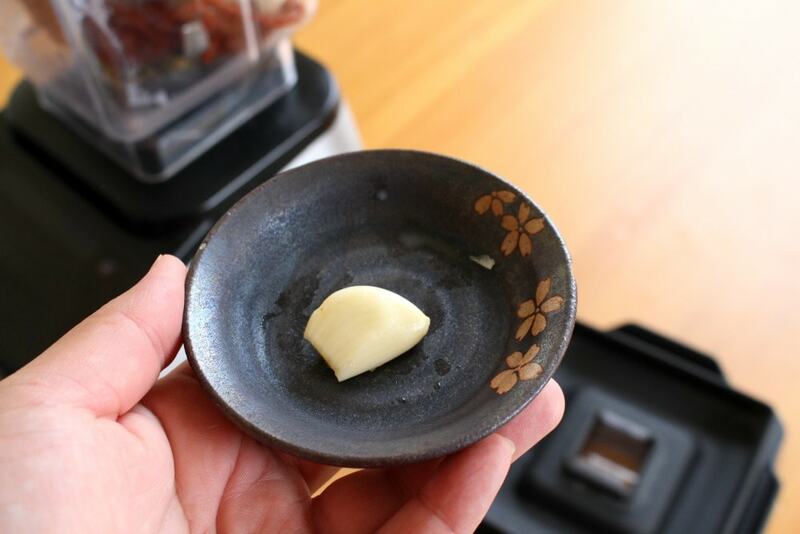 You don’t need more than one garlic clove. Water. Just 1 cup will do. It’s more to get everything to blend. 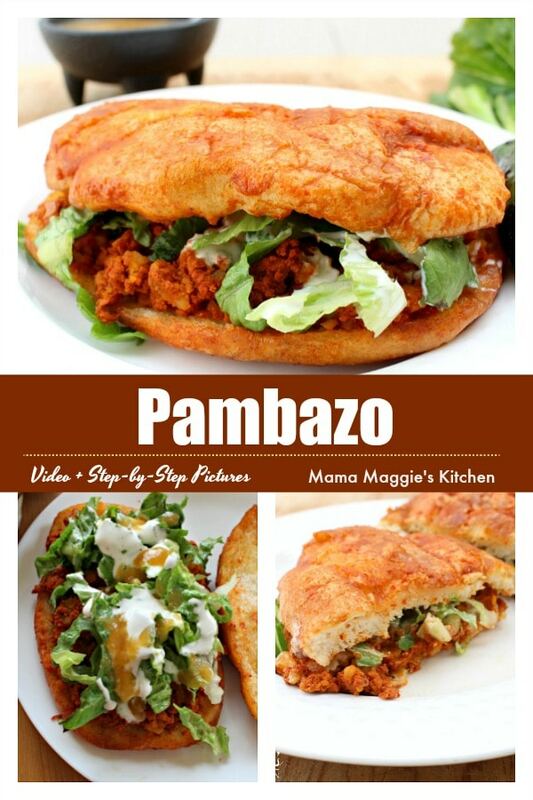 The sauce for the Pambazo is thin, not thick. Half a teaspoon of salt to start. You might want more later. Just in case, start small with the salt. Blend until smooth. 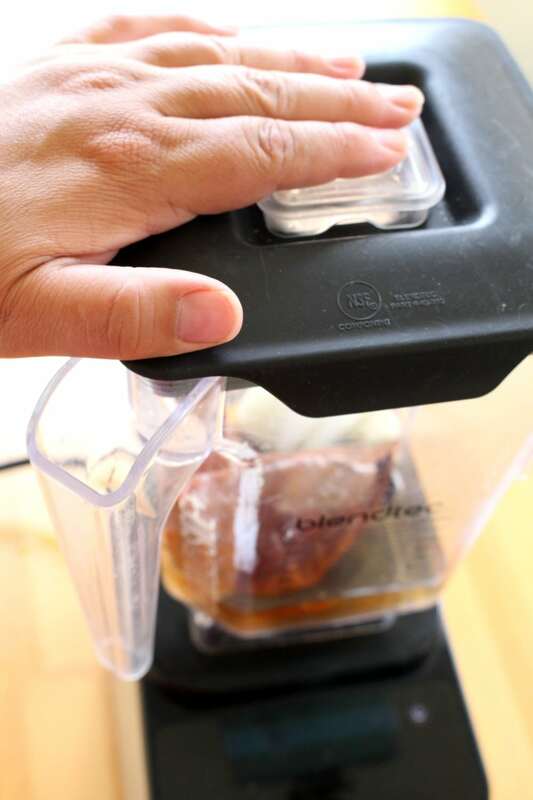 The splender of the blender. It’s a marvelous thing! 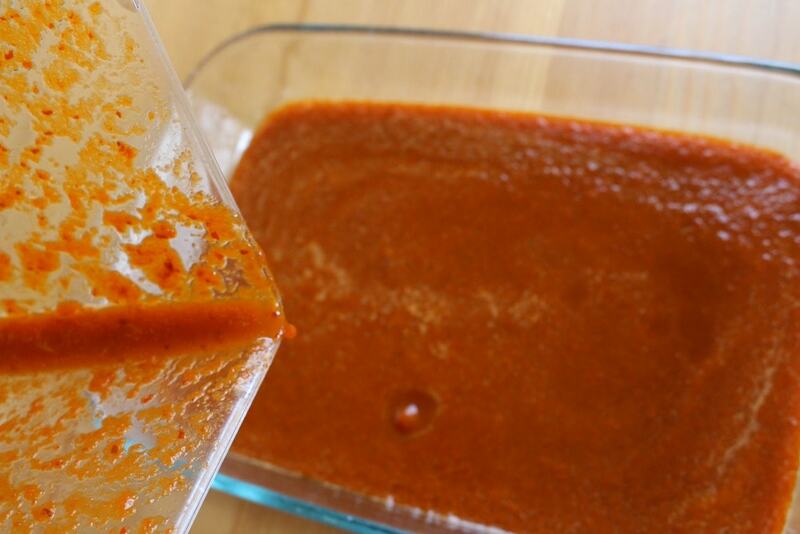 Pour the guajillo chile sauce into a deep dish like this Pyrex plate. You need to use something that is deep enough to dip the bread in. 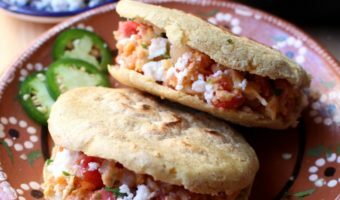 Telera is the bread we use in Mexico for tortas. 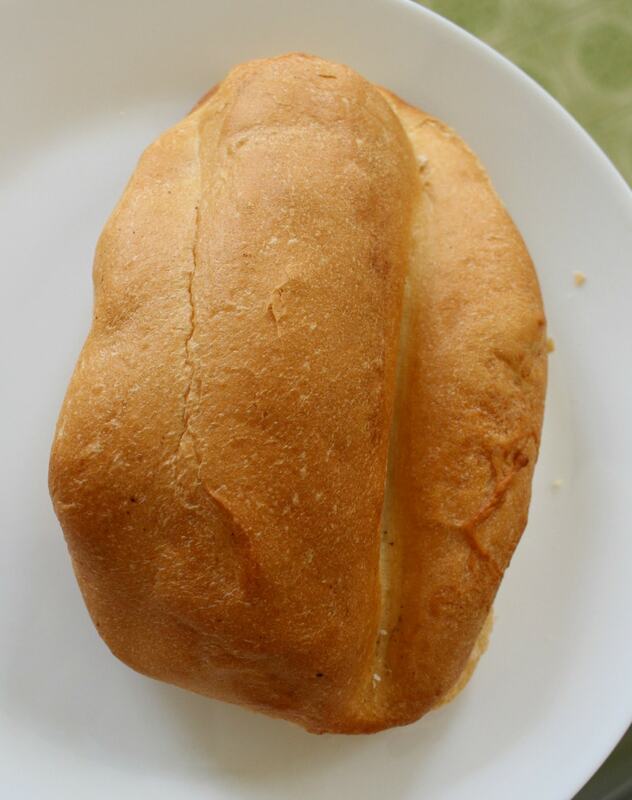 Bolillo is perfectly acceptable as well, or a Ciabatta bread works too. 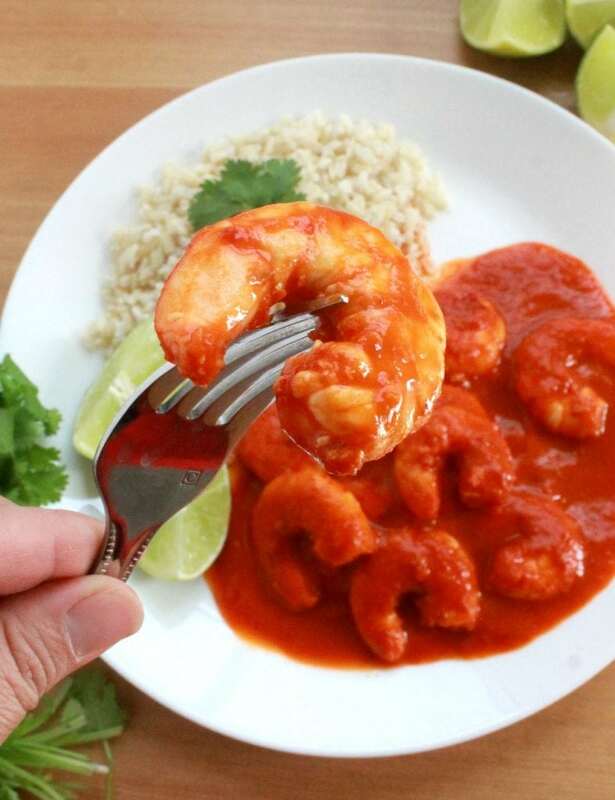 Cut in half and dunk each side of the bread in the guajillo sauce. Don’t dip the inside of the bread. You don’t want to the bread to fall apart. Dunk the other side in the sauce. Place this on a plate and go to the next step. Add oil to a pan. Some people will fry the bread in butter, or skip the frying altogether, and heat on a griddle. My advice for those of you who decide to use the griddle, oil it well or your bread will stick. Fry both sides of the bread, sauce-side down. Do not fry the inside of the bread. The inside of the bread should still be white. To assemble, open the bread. 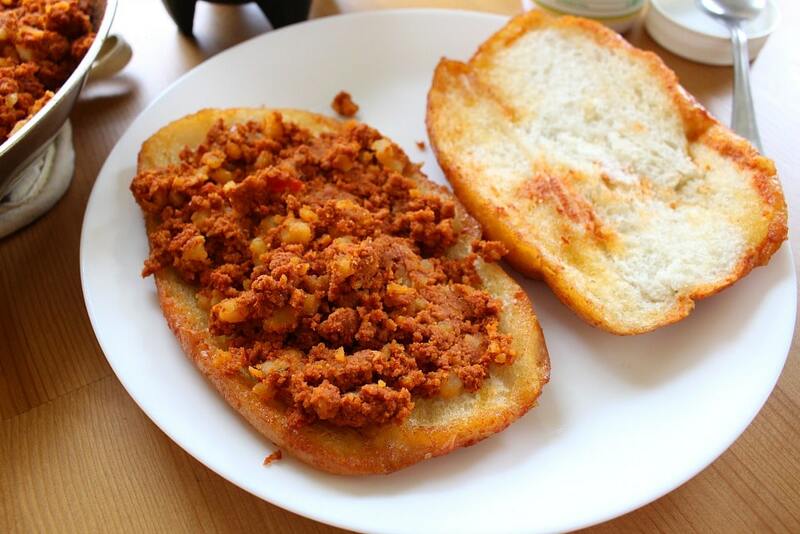 Add chorizo and potato mixture to bottom side of the bread. Shredded lettuce is added. Some people add tomatoes as well. This is homemade tomatillo chile de arbol salsa. A big dollop of crema mexicana. Sour cream is also acceptable. Cotija cheese or queso fresco can also be added. Put the top of the bread back on, and enjoy! In a large skillet, heat 2 tablespoons oil. Add the chorizo and cook. 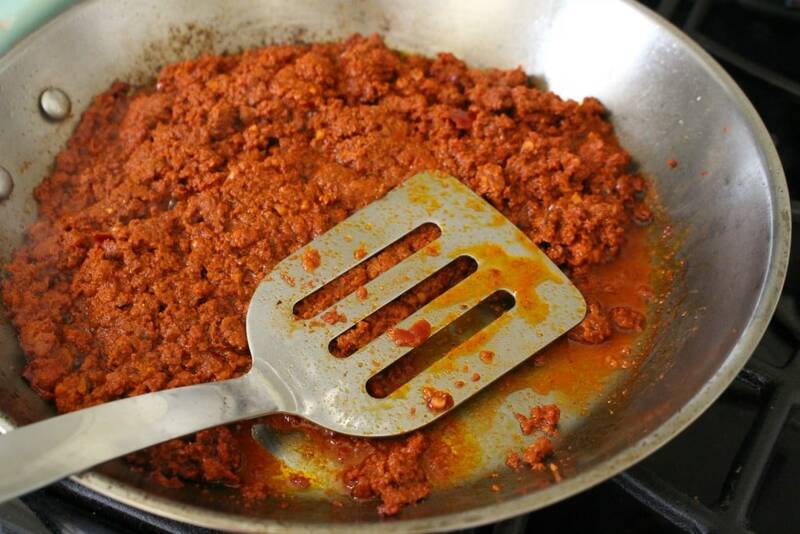 Return chorizo to the skillet. Add the cooked potatoes to the skillet. 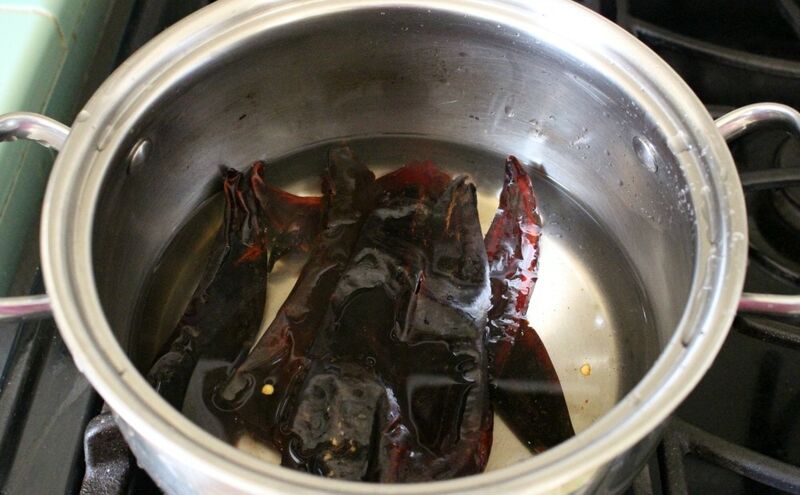 To a stock pot, add guajillo chile and 4 cups of water. 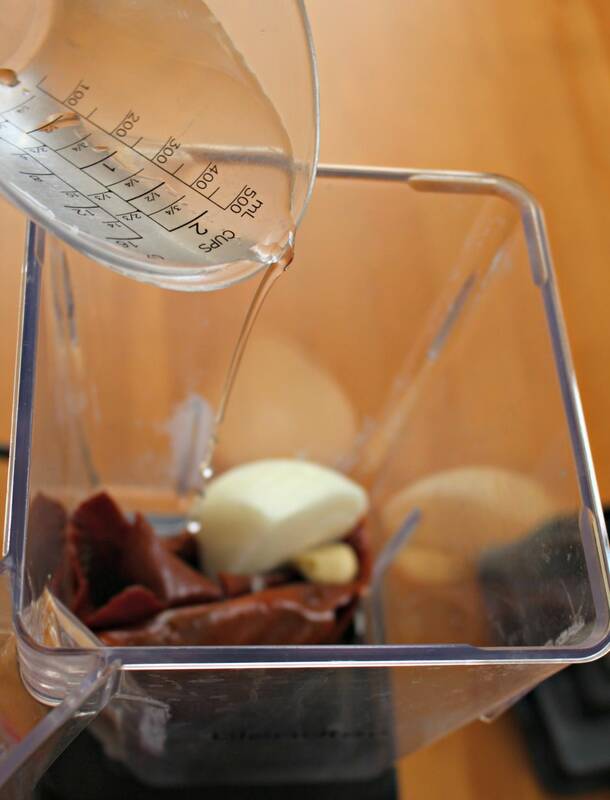 To a blender, add reconstituted chile, 1 cup water, onion, garlic clove, and salt. 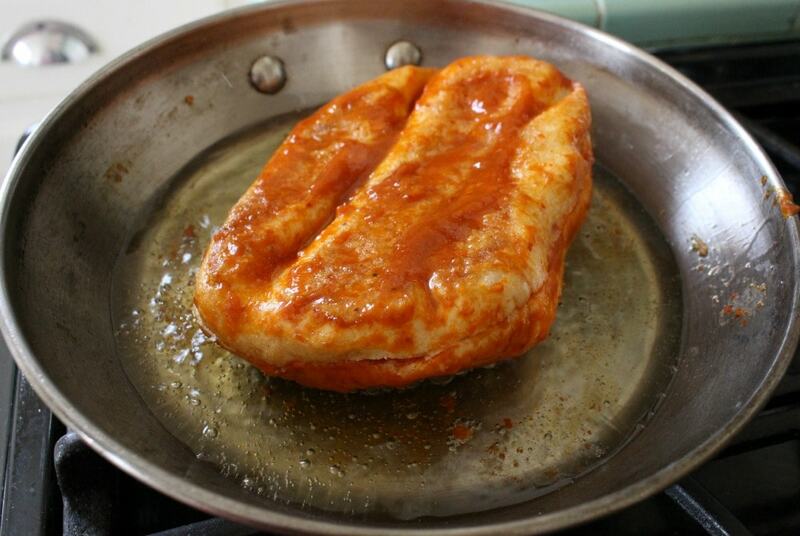 Pour the guajillo chile sauce in a large deep dish (such as a Pyrex plate). Cut the telera bread in half. 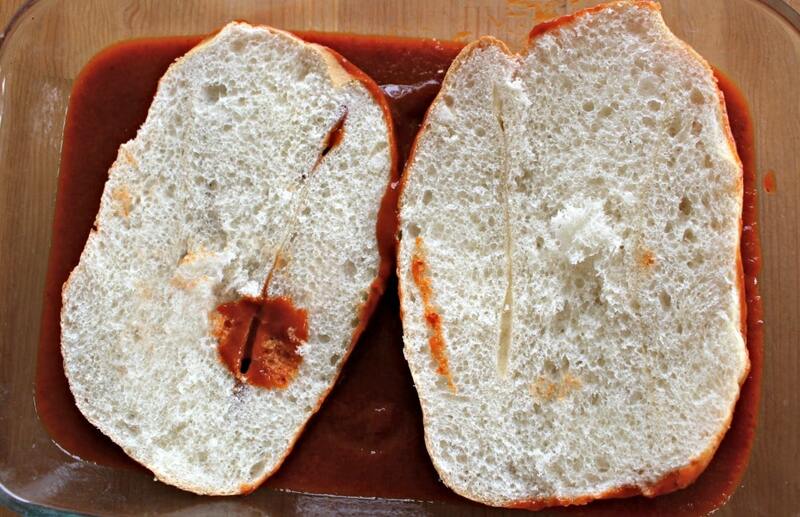 Dunk the top and the bottom of the bread in the guajillo sauce. Do not dunk the inside of the bread. 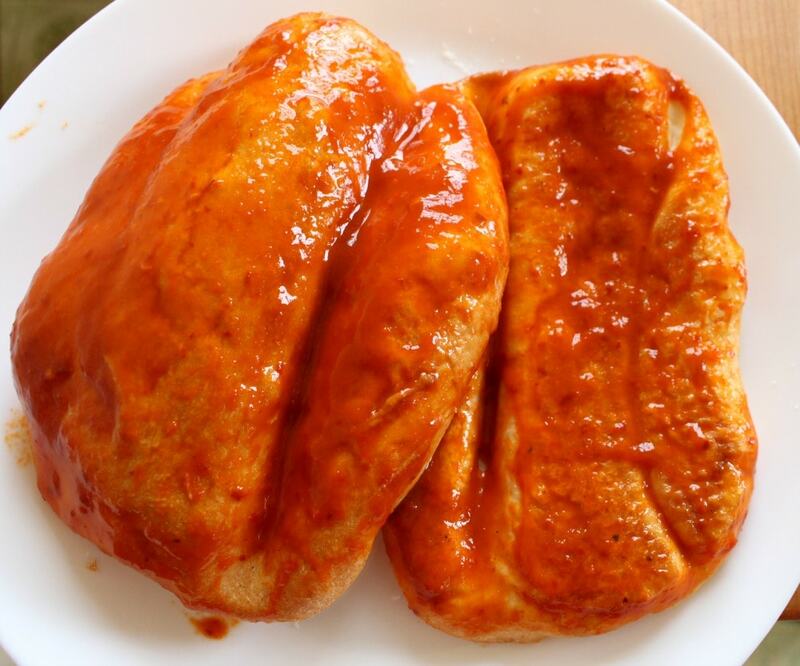 In a frying pan, heat ¼ cup oil. (You can also use butter). Add the bread to the pan and fry for 1 minute on each side. Baste with more sauce, if you like. (You can also use a well-oiled griddle instead of frying). Place bread on the plate. 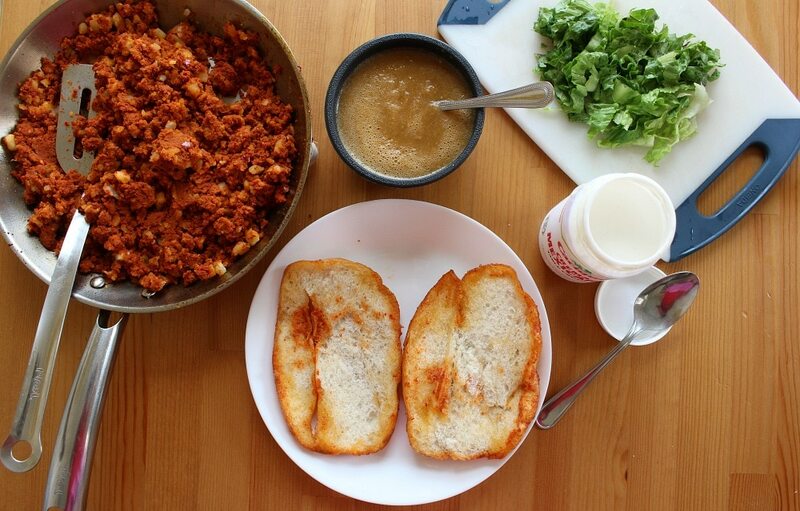 Add the chorizo potato mixture to the bottom half of the bread. Top with lettuce, crema mexicana, and salsa. 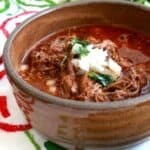 (You can also add Queso Cotija or Queso Fresco). Top the sandwich with the other half of the bread. If you use a griddle instead of frying, make sure it is well-oiled or the bread will stick. Don't be alarmed if the bread blackens slightly. The blackened part of the bread is delicious! This looks amazingly delicious! My husband and I got back from a trip to Mexico and tried all the food we could while we were there. I’m not sure how we missed this but thanks for the recipe! Ooooo this looks delicious! I love that it doesn’t take many ingredients! A must try! Thank you! This looks wonderful! My family will love it! 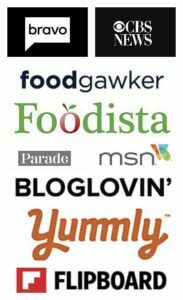 Great recipe looks so delicious, saving it, thanks for sharing.